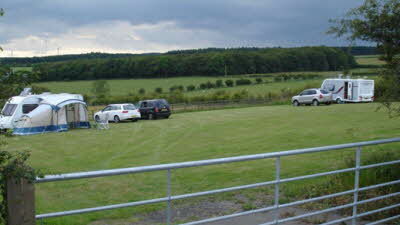 Our Certificated Location is in the countryside approximately three miles west of the beautiful Cathedral City of Durham (a world heritage site), three quarters of a mile from the village of Witton Gilbert (local newsagent and excellent pub grub) and approximately two miles from the Durham City park and ride facility (specific parking area for motor homes). We believe we are the closest of the County Durham CLs to the amazing Beamish Living Museum of the North (25% discount on production of your CC membership card); also close by are the beautiful Durham Dales and Hadrian's Wall and many other family attractions. If shopping interests you we are within easy reach of the Metro Centre, Europe's biggest shopping centre and Newcastle upon Tyne (it's possible to catch a bus to both places from the village). 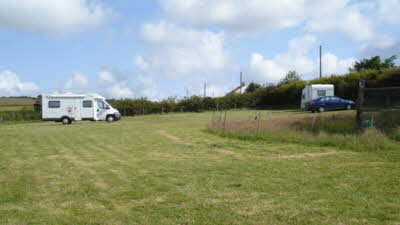 Our site is slightly sloping with a good entrance and has water and disposal points. We are part hard standing and have recently installed electric hook-ups at each of our five pitches. We are more than happy to charge batteries and we also have fresh eggs for sale (when the hens are laying well). Well behaved dogs are welcome as there are many country walks from the site. 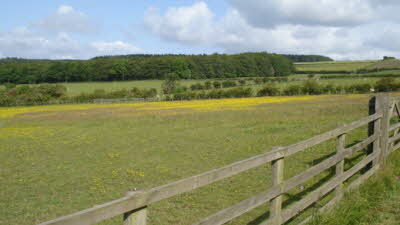 The best aspect of the site is the spectacular views over open countryside - if you're an early riser you may see deer come out of the nearby woods in the early morning or hear the plaintive cry of the curlew as it approaches its nest. Walk to the top of the hill and you'll find Broom House Farm with a lovely cafe and farm shop - their home reared meat is delicious, and for children they have an Adventure trail through the woods. 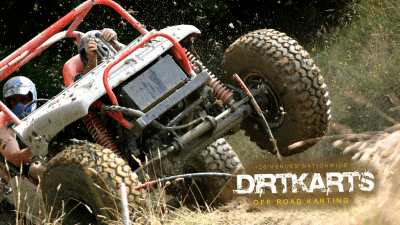 Also based at Broom House Farm is Fury Events where you can try Mud Buggy Racing, Quad Biking, Off Road Driving, Archery and Clay Pigeon shooting. Approximately two miles away is Diggerland, an adventure park where children and adults can drive real diggers and so much more. 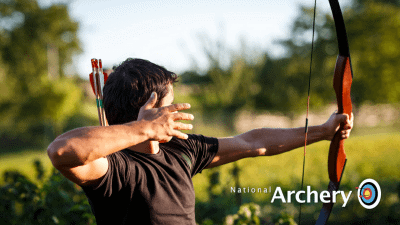 If you're into fishing there are many facilities within five miles, the nearest being Aldin Grange at Bearpark (approximately three miles) which boasts five well stocked lakes brimming with fish - two trout (fly only), two coarse and one competition (match only). 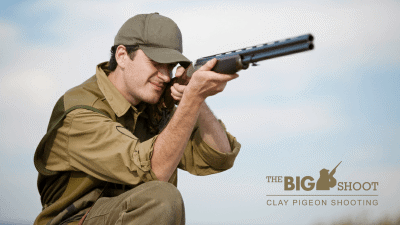 If you love the countryside then this is the site for you. For further information please don't hesitate to give us a call on 01913710086/07834377511 or visit our Website. CL sites are so varied and interesting, this one is just the type we like, friendly owners, a lovely area, a great rural place to stay with an easy going approach to there visitors and plenty of attractions in the area. We hope to return again soon. Booking was very easy. This was our first visit to Old Bridge End CL. We arrived shortly after dark and the owners came out to assist us onto the site - very helpful. A box of fresh eggs from their chickens was very welcome. The site is as described with good TV reception, and easy to find. Water and electricity near at hand. 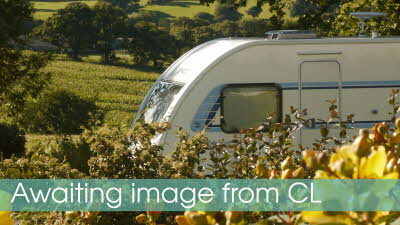 We were lucky with good weather - always an asset when caravanning. We would definitely stay there again if visiting the surrounding area. Although we have been motorhoming for eight years, we are new members to the Club as we spend most of our time abroad. Having been to the Durham Centre Rally in Sunderland for the Tall Ships, this was our first stay on a CL. All I can say is that if this is a typical CL we are in for a great time in the months to come. The welcome was friendly and eggs for breakfast and, despite a bit of a slope, it was easy to level up on the hardstanding down near the fence. 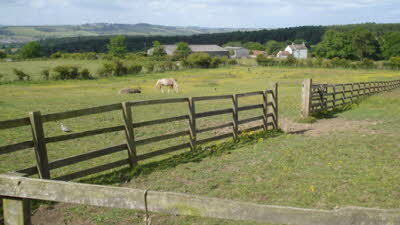 A tranquil setting with a fabulous view and easy access to the excellent Durham Park and Ride. Why can't more cities provide sensible motorhome parking at their P&R? We also had a great day at the Beamish Museum and certainly would have stayed longer but for prior commitments. This CL has all the facilities you could need for a great stay and we thoroughly recommend it. Having stayed at 2 very poor CL's beforehand, Old Bridge End was a huge relief. Quite a lot of slope in places, but ok if you are careful and there were some concret blocks on site to help level the caravan. Nice and quiet and the owners were very friendly and helpful and even gave us a few fresh laid eggs for breakfast! Recommended. We stayed here with our granddaughter for 7 nights from 31st July. 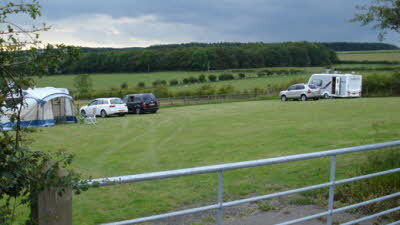 As stated in other reviews this site is easy to get to and has a nice wide access to the field We had to park up by the hedge as the bottom three pitches were taken. This meant a bit of moving around to find a reasonable area to set up. We required a levelling pad on one side and blocks under the jockey wheel and corner steadies. A motor mover would have saved me a lot of pain here. One tap for fresh water at bottom of field. Decent toilet disposal point. Grey water can be disposed of in the hedge as you wouldn't be able to lift the hog to the disposal point. 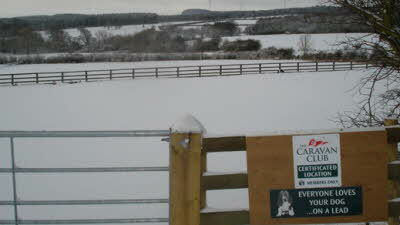 However once set up we were fine and had lovely views over the fields towards the hills. Owners very friendly and we were welcomed with a box of eggs courtesy of the farm hens. 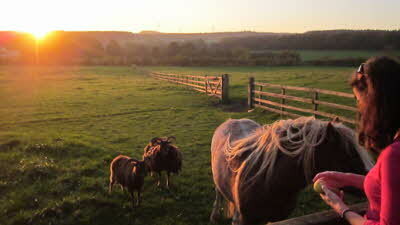 Loads of places to visit especially Beamish where you get 25% off with CAMC membership card. We also used the park and ride into Durham. Only 2 miles from site. 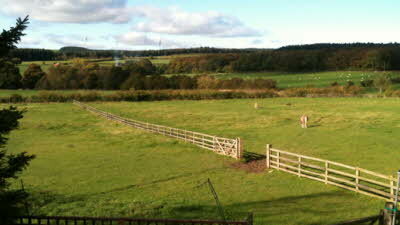 A great location to stay for seeing the wonderful sites of Tyne and Wear.